OUTSTANDING BROADMEAD HOME! 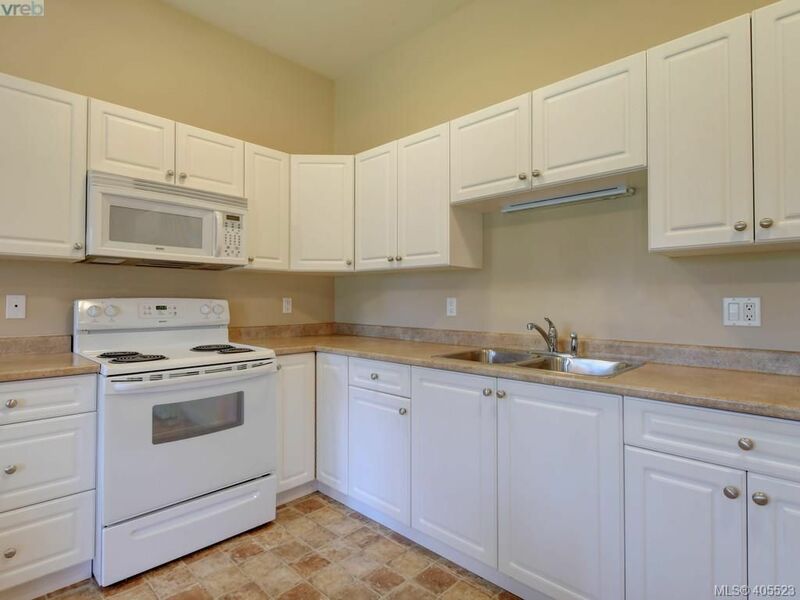 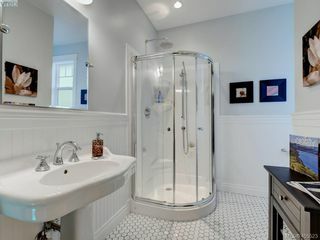 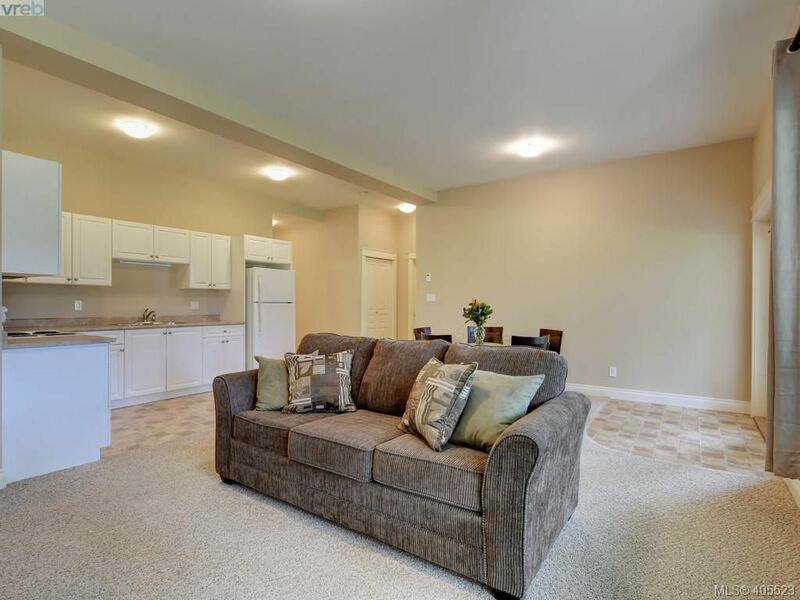 Offering open modern spaces flooded with natural light & a floor plan able to accommodate most lifestyles & families. 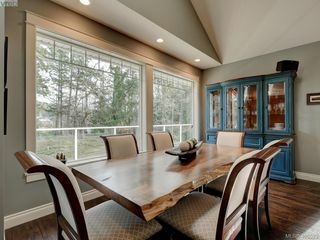 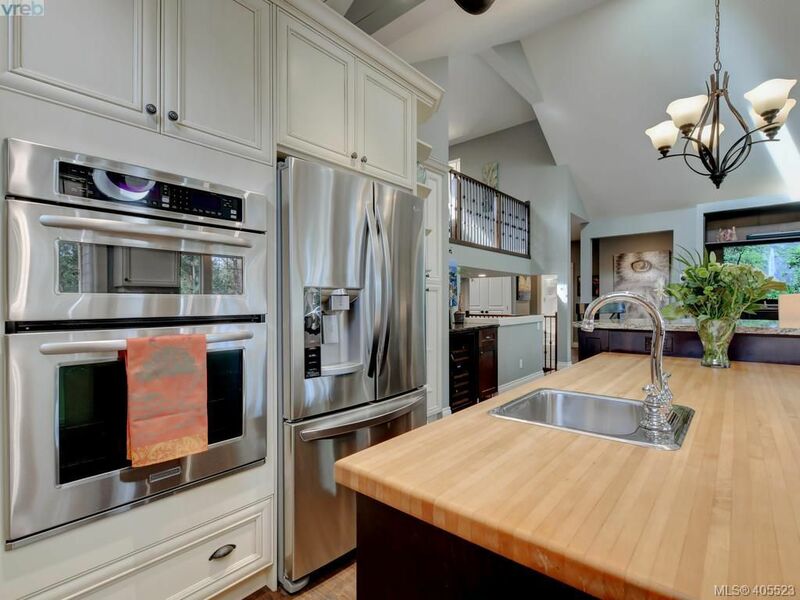 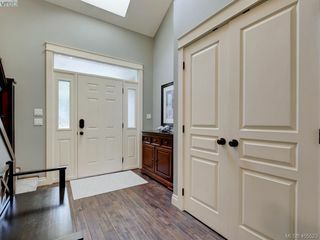 The main level showcases vaulted ceilings, strategic skylights, warm hardwood floors, dining area with natural views & a bright airy chef friendly kitchen. 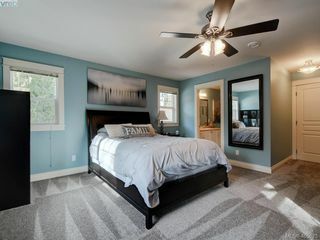 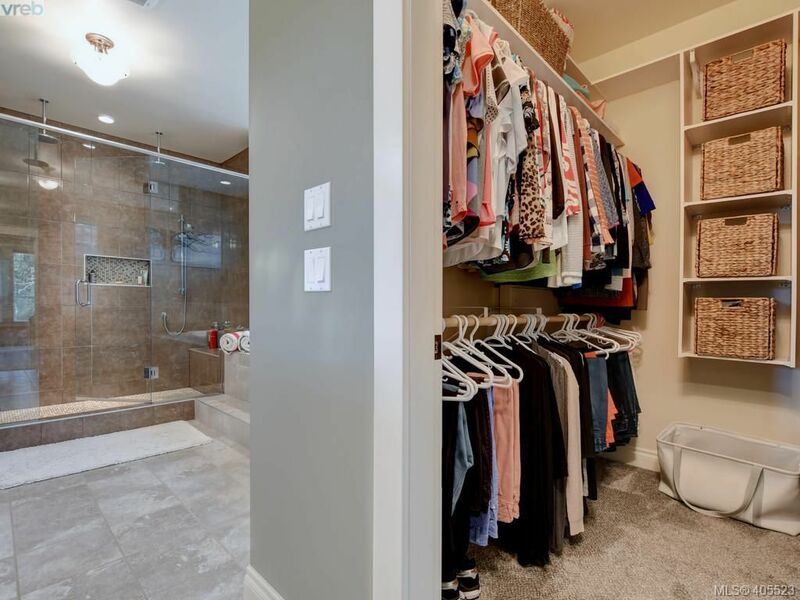 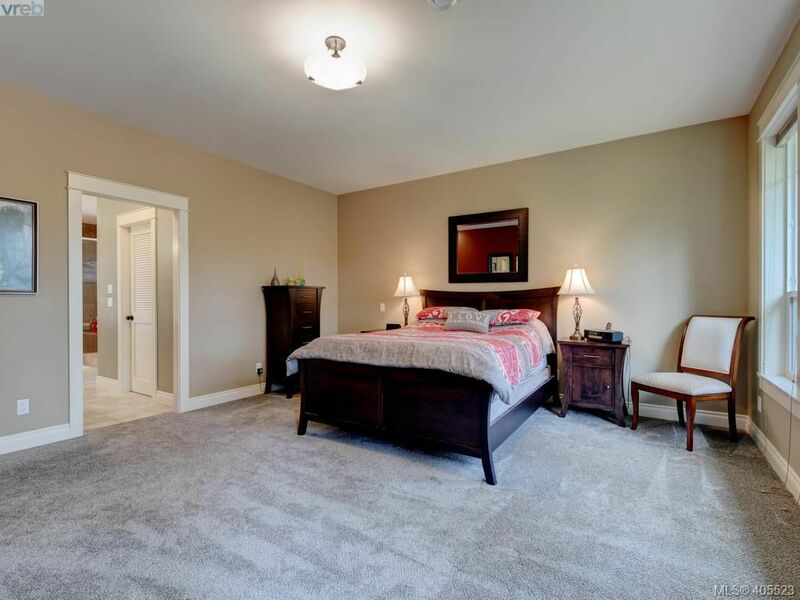 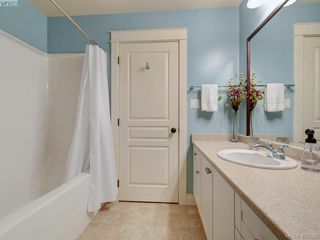 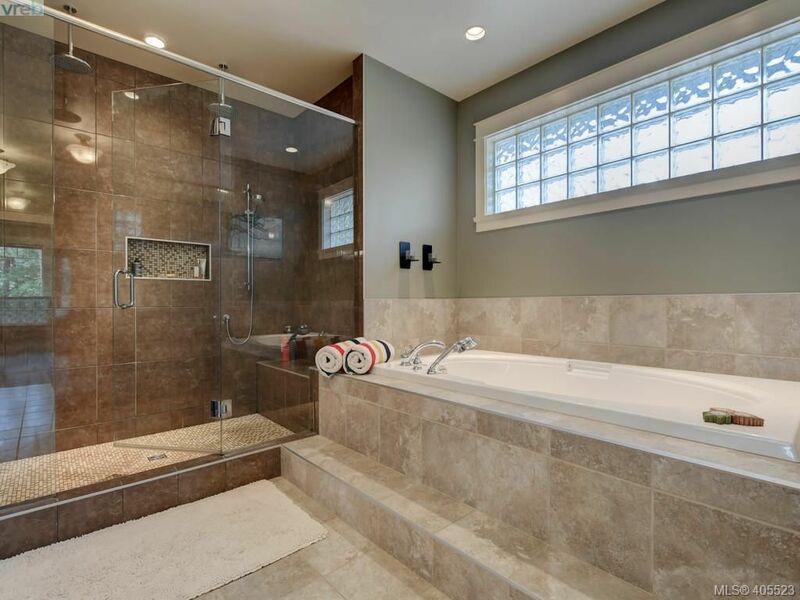 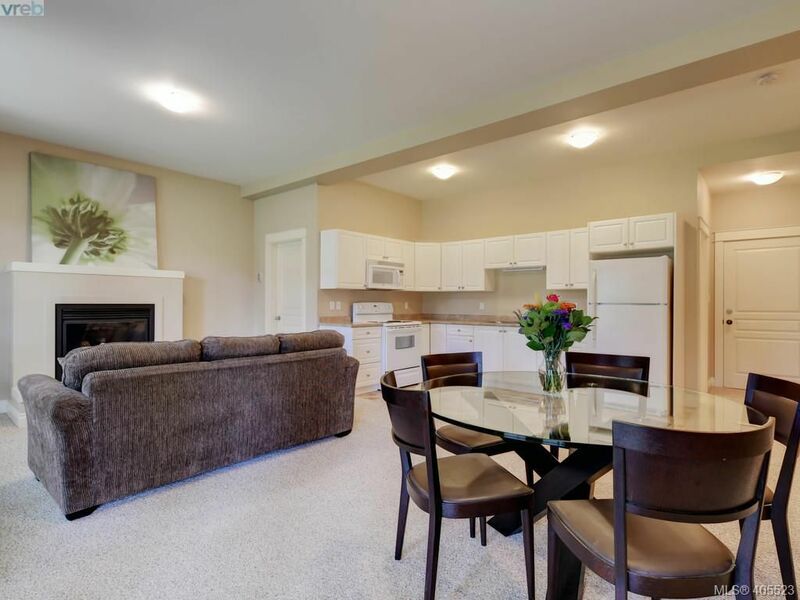 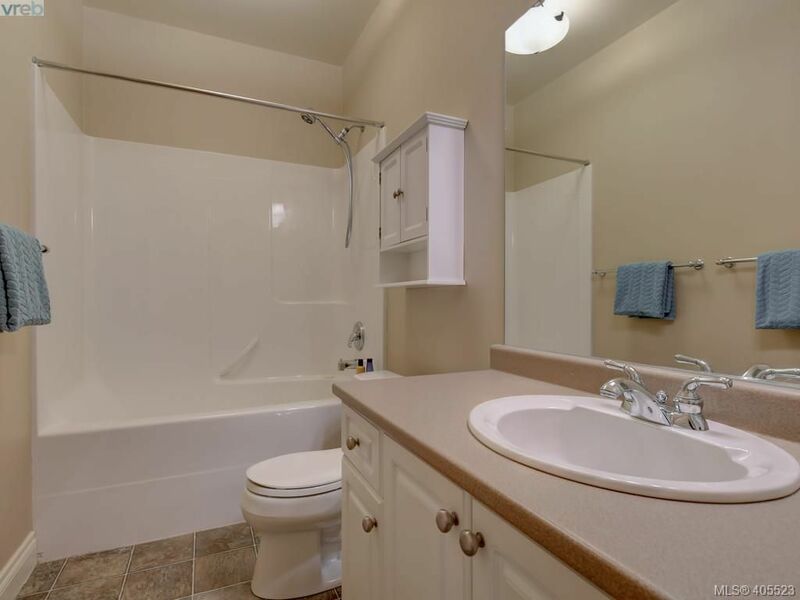 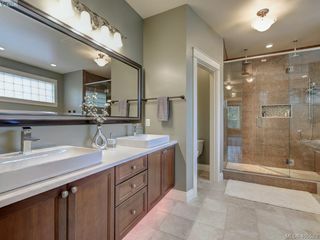 The luxurious main floor master is complete with walk-in closet & a 6-piece spa like ensuite. 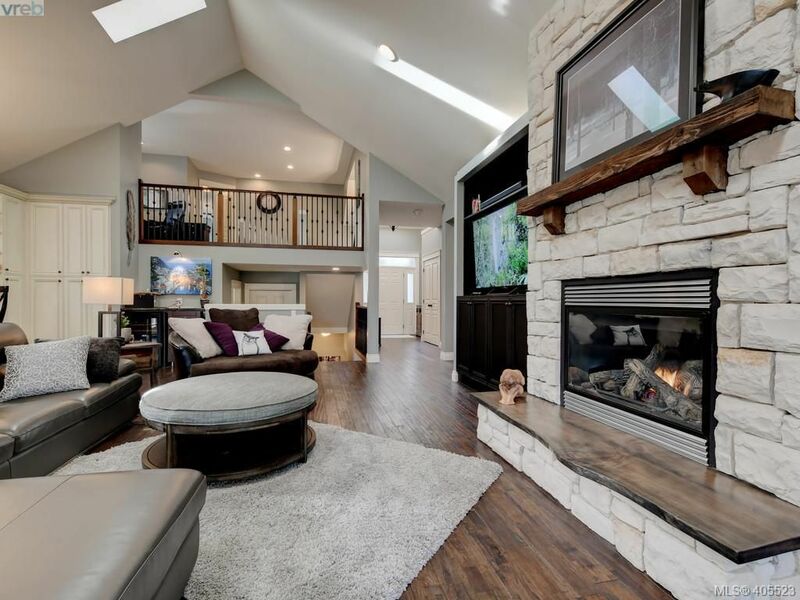 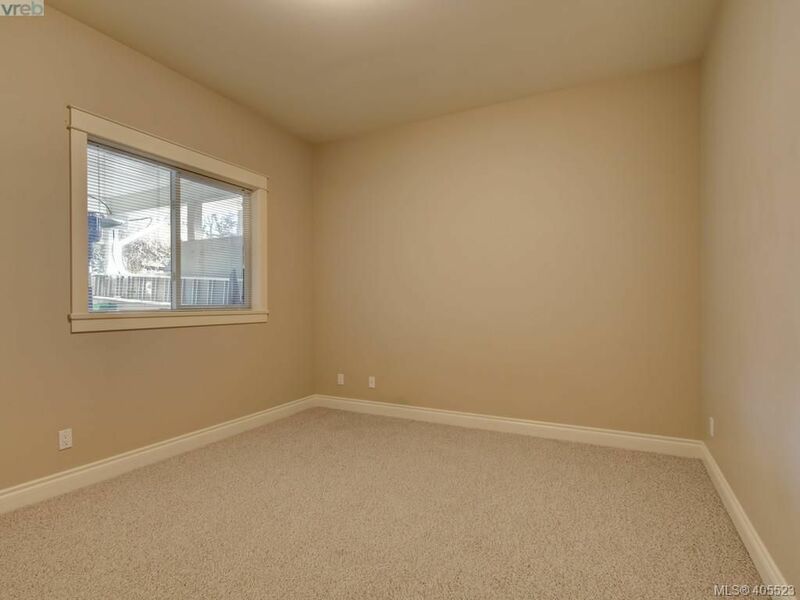 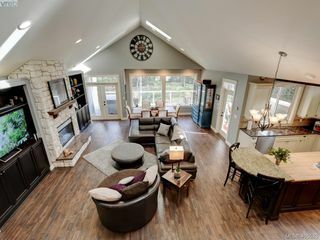 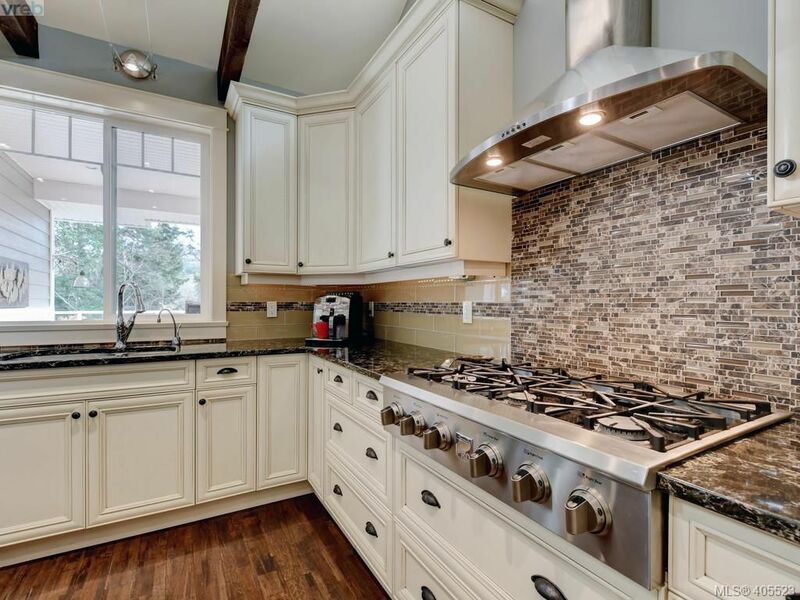 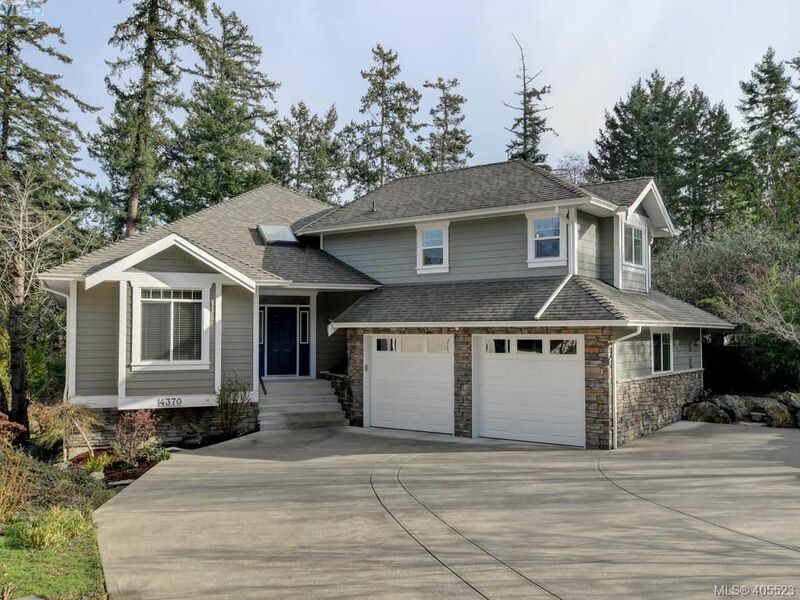 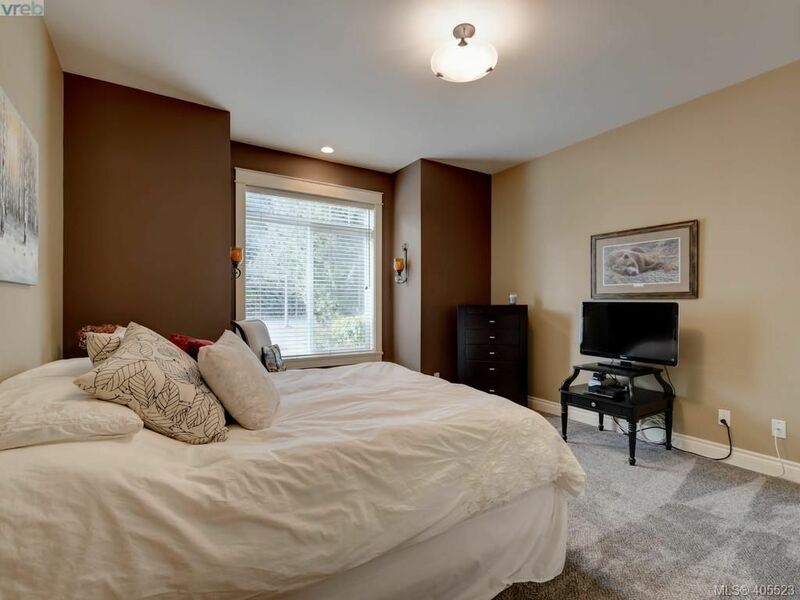 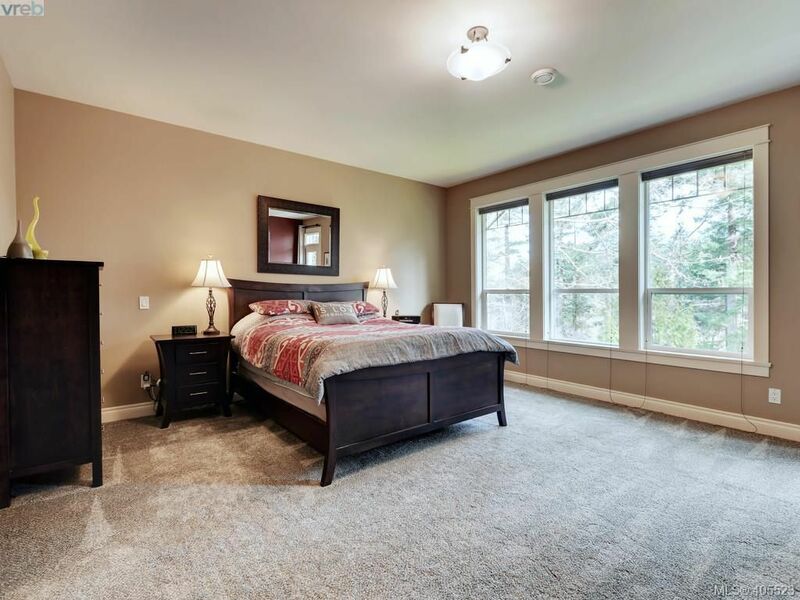 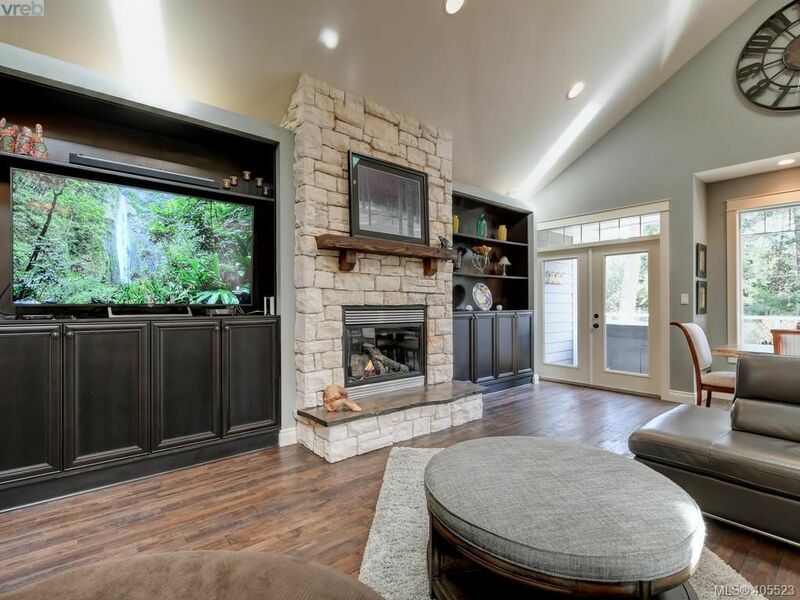 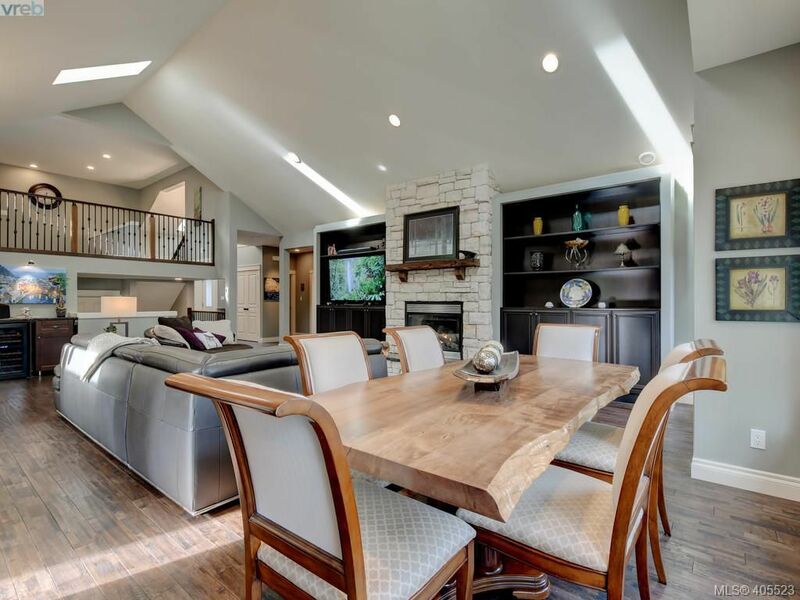 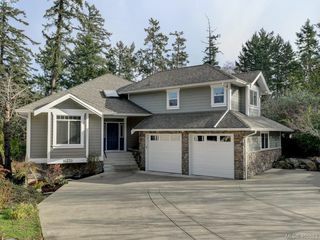 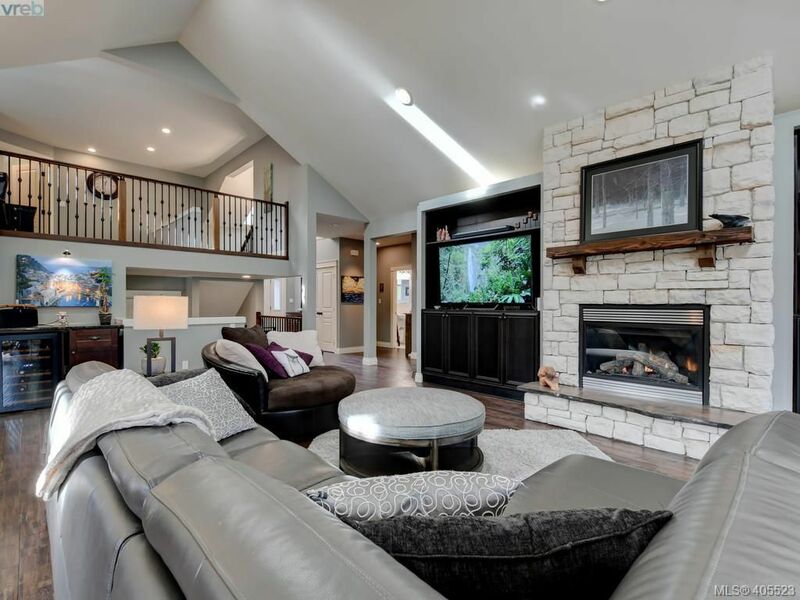 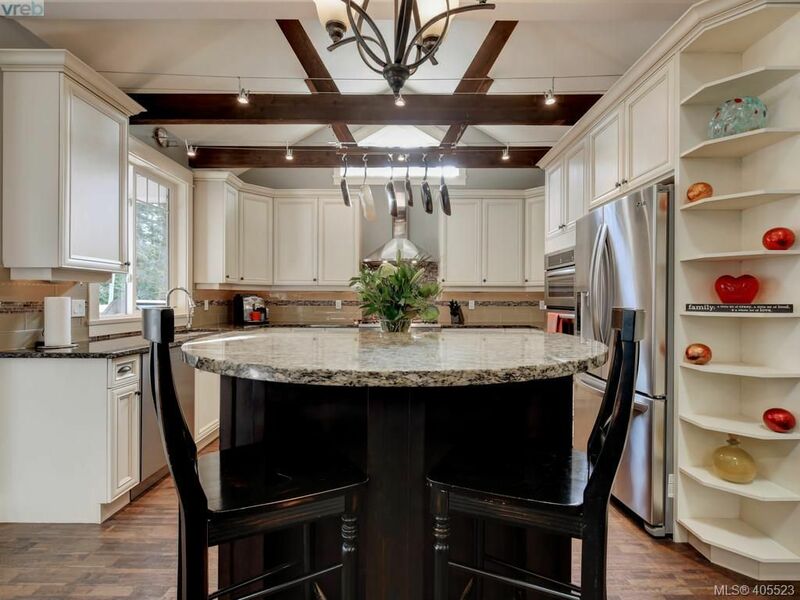 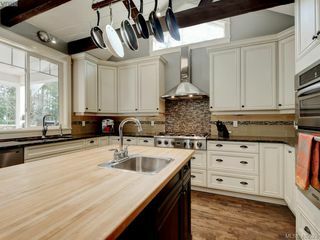 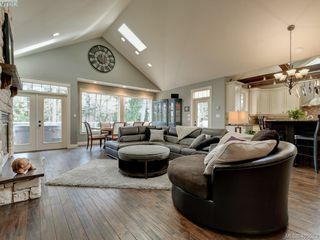 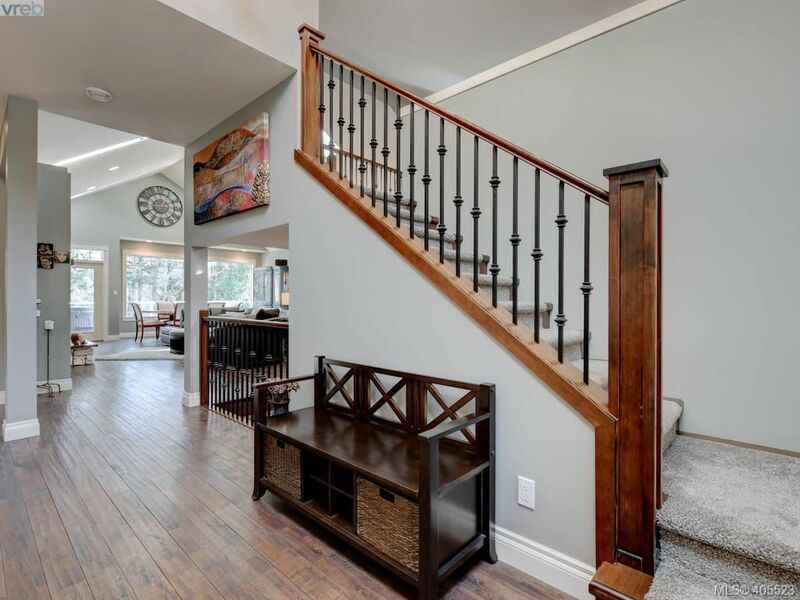 In floor radiant heat throughout, quality built ins, 2 cozy gas fireplaces, stainless appliances, quartz counters, exposed beams & a stunning white stone fireplace with living edge hearth all add to the feel of this home. 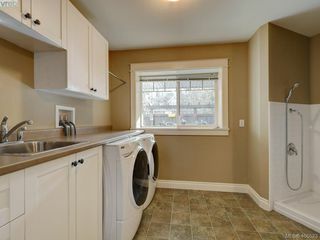 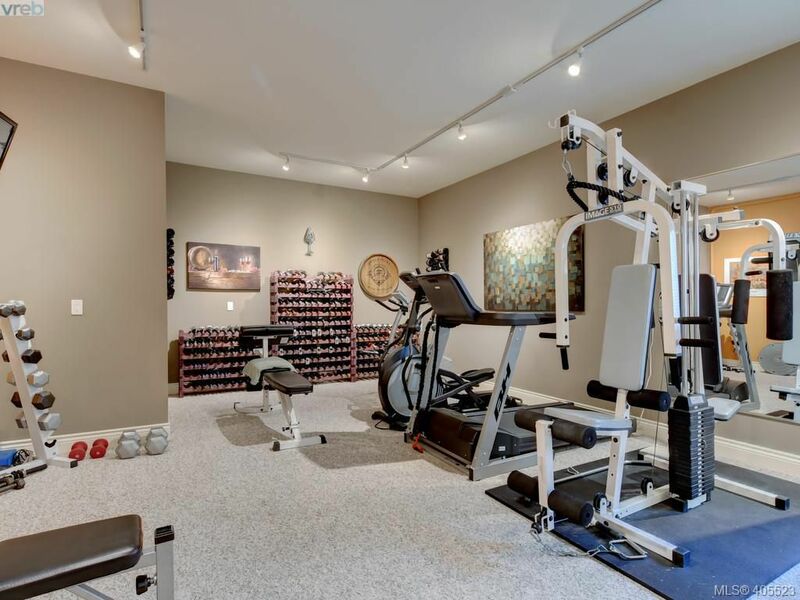 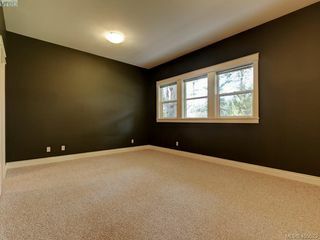 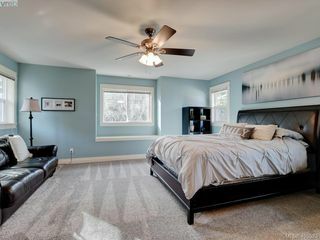 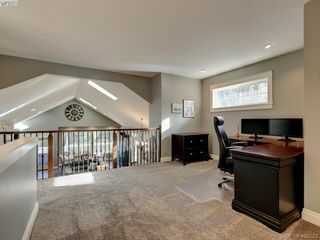 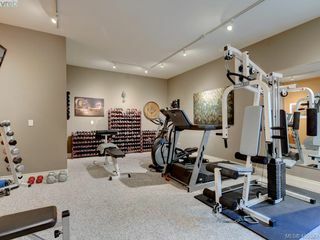 Lower level has a large home theatre/gym plus a huge 2 bdrm inlaw worthy suite, with sep laundry, 9’ ceilings & walk out patio. Bonus features incl a loft/office, double garage, loads of storage, laundry area with dog shower, multiple patios & a brick pizza oven. 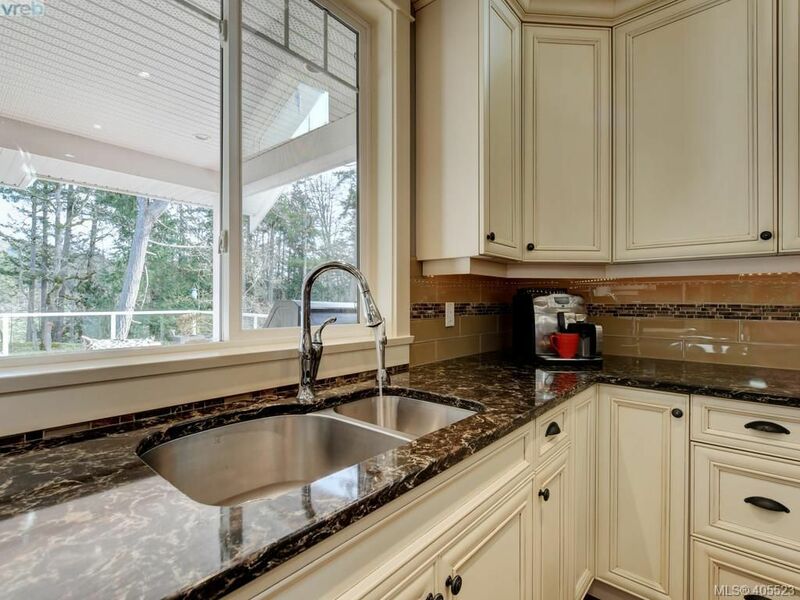 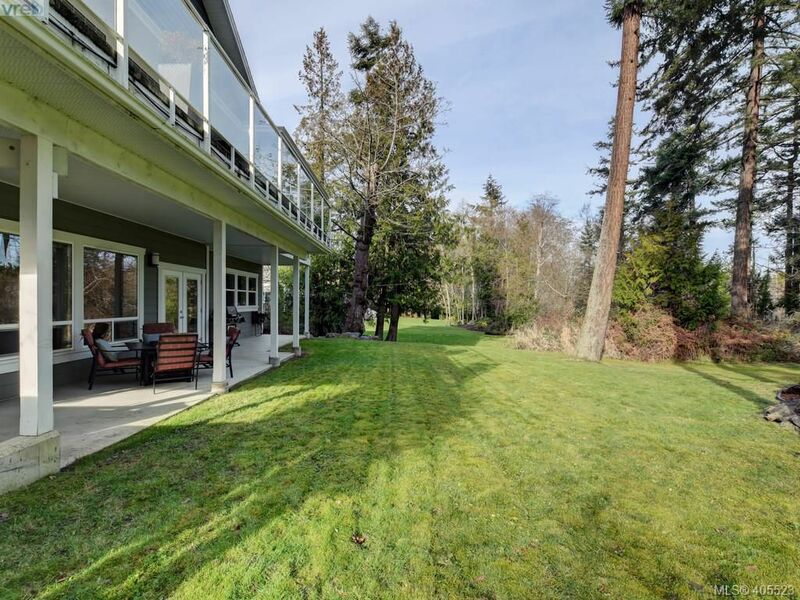 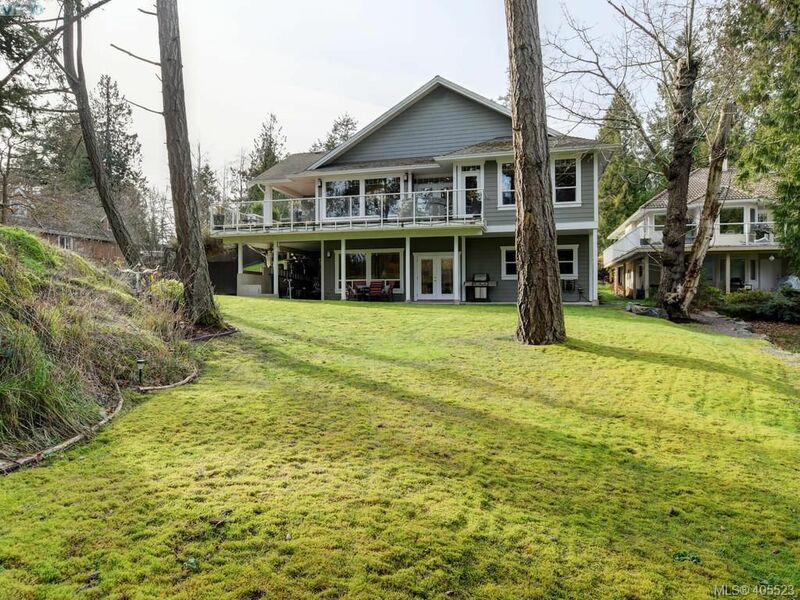 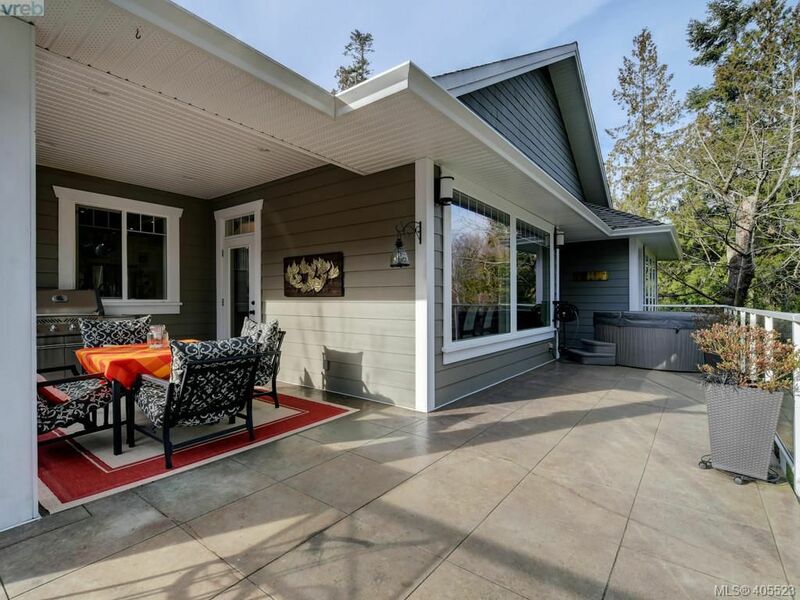 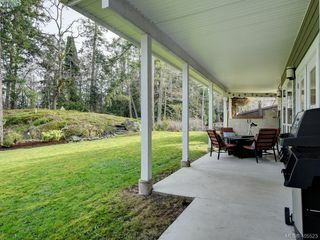 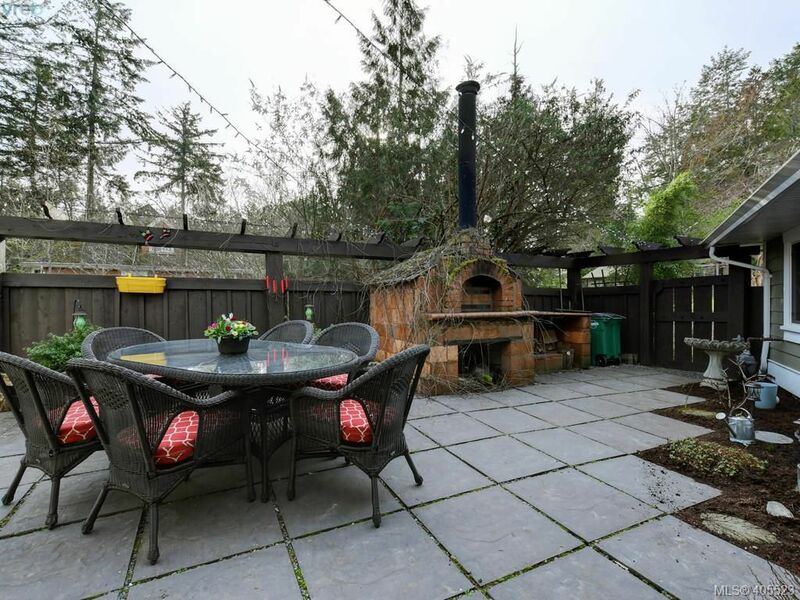 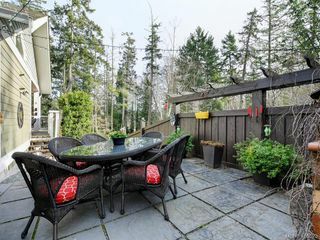 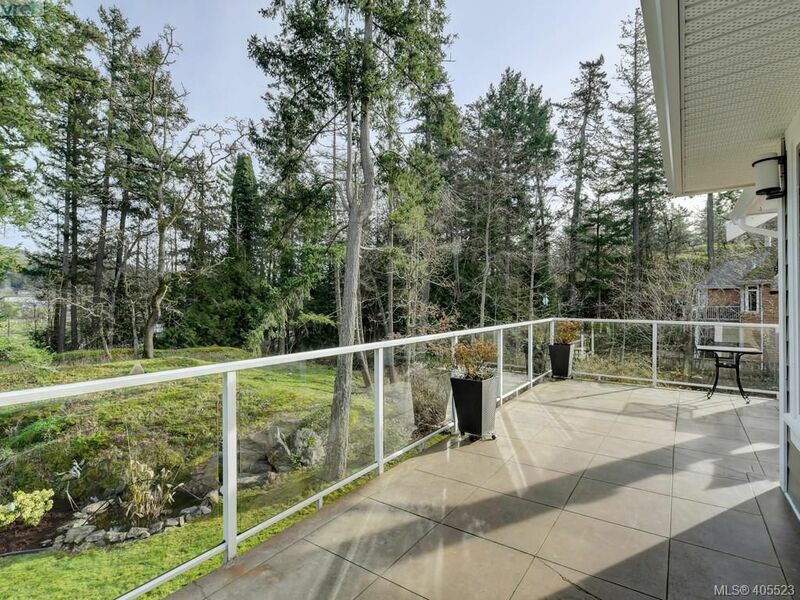 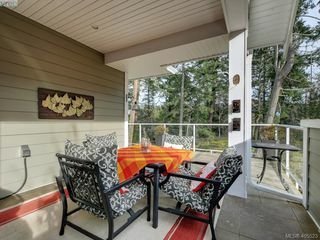 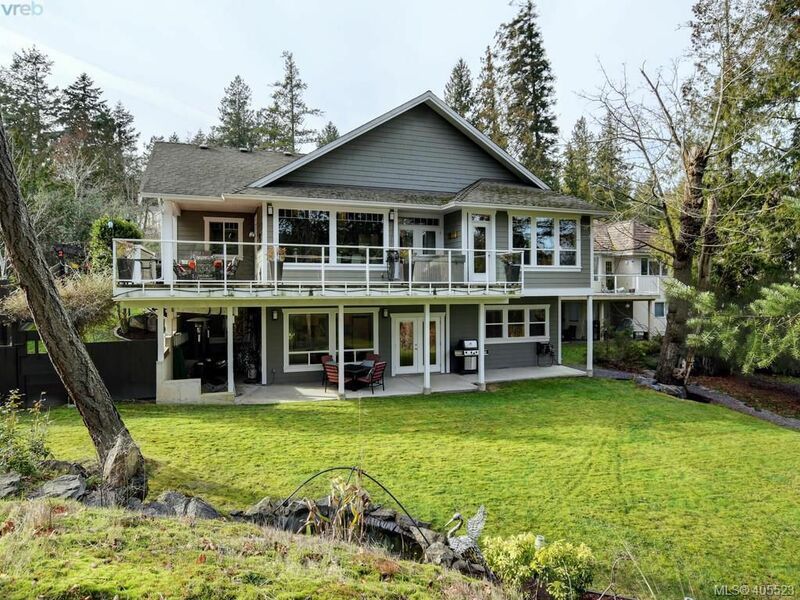 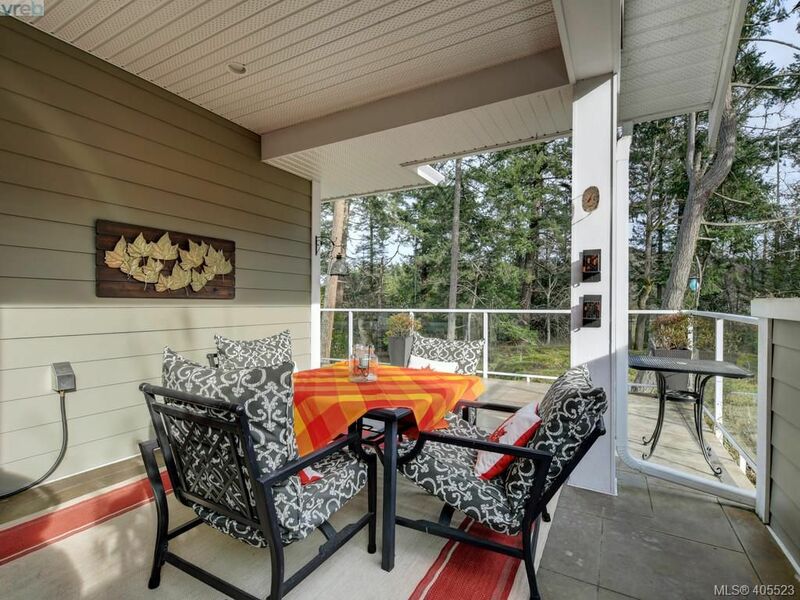 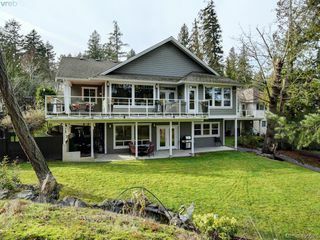 All perched on a private .25 acre, backing onto greenspace just minutes to Broadmead Village & downtown Victoria.